There is much more to your eye examination at our Practice than finding out if you need spectacles or contact lenses. We also carry out a range of tests to assess the health of your eyes. Because everyone’s eyesight is different, we tailor the eye examination to your individual circumstances. This may include the following elements and other tests, where appropriate, based on our professional evaluation of your visual requirements. 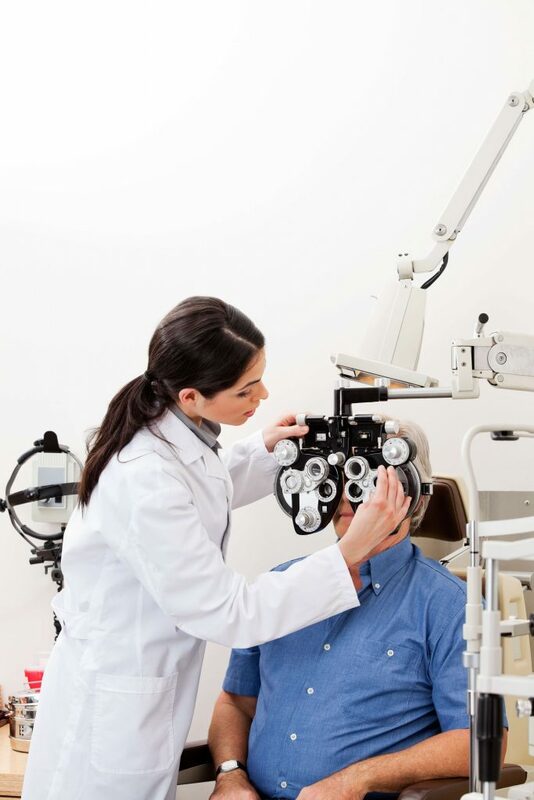 First of all, we discuss any problems you might have with your eyesight and general health. Many eye conditions are health-related and it is important that you let us know if you are taking any medicines as these may affect your vision. To assess your visual needs, we also discuss your work and leisure activities and lifestyle requirements. If you already wear spectacles or contact lenses, you should bring these to your appointments. We will then check the lenses to establish their type, optical power, and how well you can see with them. It is important that your eye muscles work together. This test checks that both your eyes are co-ordinated and that you have comfortable vision at all distances. This test measures the pressure inside your eyes. Too much pressure can indicate glaucoma, a disease which eventually leads to blindness if untreated. The test is usually carried out on people over 40 or those with glaucoma in the family. The results are evaluated in conjunction with a visual field test and ophthalmoscopy. This part of the examination finds out whether you need an optical prescription and, if so, which lenses give you the best vision. We check your near vision (for reading), your distance vision (for driving or TV) and your intermediate vision (for hobbies or computer work). These refraction tests will reveal if you are short-sighted, long-sighted, presbyopic or have astigmatism. As everyone’s vision changes over time you may experience one or more of the above conditions. However all can be corrected with spectacles or contact lenses. The pupil controls the amount of light reaching the retina at the back of your eye and so affects images seen by the brain. An unusual pupil reflex may indicate neurological problems. Testing your all-round vision can detect glaucoma and other neurological conditions. Particular attention is paid to your peripheral sight as losing your field of vision is one of the main signs of glaucoma. When your eye examination is finished, we give you an explanation of your vision and your eye health, plus a copy of your optical prescription. We then recommend a time for your next eye examination based on your visual needs. 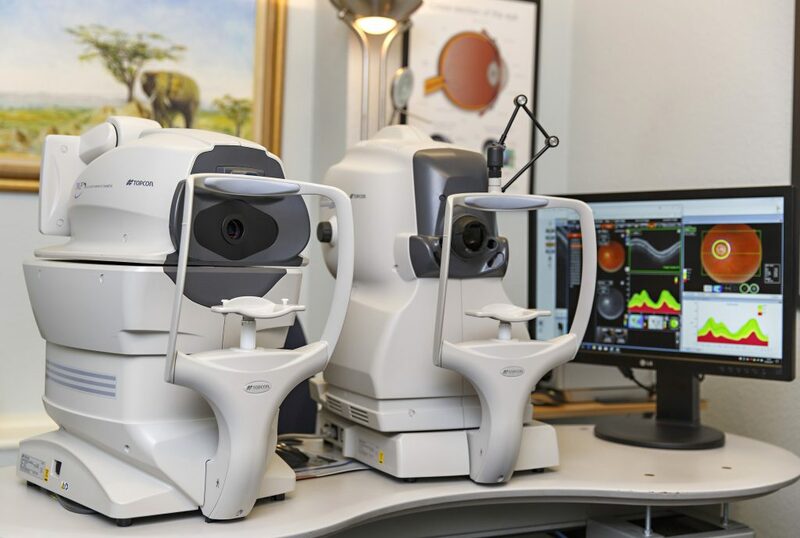 Our optometrist will also be happy to answer any questions you may have about your sight and the eye examination.